Our Holy Prophet Hazrath Muhammad Mustafa (pbuh) is sent as a mercy to mankind and the whole universe. 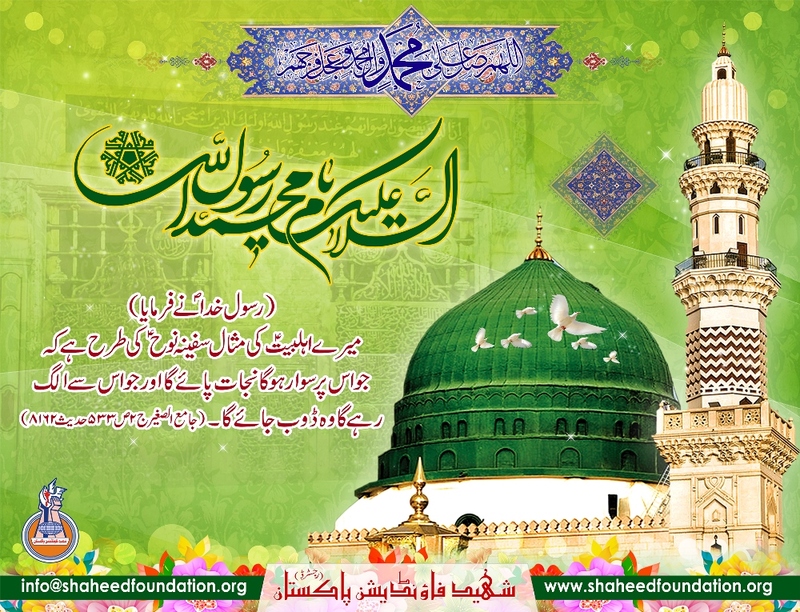 The day of his birth is commemerated as Mawlid or Eid-e-Miladun Nabi by muslims all over the world. Milad ceremonies are held by passionate muslims where naats and manqabats are recited for the Holy Prophet and His sacred mission. There is a difference of opinion in historians regarding the precise date of his birth. A great faction of historians believe it to be either 12th Rabiul Awal or 17th Rabiul Awal. In this connection and as this auspicious event demands, Ayatullah Khomeni had declared the week starting from 12th to 17th Rabiul Awal as "Hafta-e-Wehdat" meaning the unity week amongst muslims. The birth of the Holy Prophet (s) is celebrated throughout this week. Imam Khomeni has presented a charter of unity within the muslim ummah by declaring the Mawlid as the unity week. Indeed the noble example of Rasool Allah brings us closer to one another. At such times when Islamic nations are under extreme threats from zionism in the world, unity is exactly what is required the most. A very meaningful message on this day is "We are quarreling on how to pray the prayers by open hands or fixed hands While our enemy (Zionists , America & Israel) is planning to cut our hands." May Allah guide us all to the golden examples of nobility and character of the Holy Prophet and His Holy Progeny. Heartiest felicitations to all muslims on the birth of the pride of mankind, Rasool Allah (saww). Quwwat-e-ishq se har past ko baalaa karde! Deher mein Isme Muhammad(S.A.W.W) se ujaala karde!